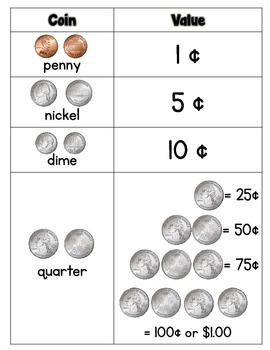 Worksheets, a reference mat, bingo game, board game, and other activities students can use to practice coin counting. 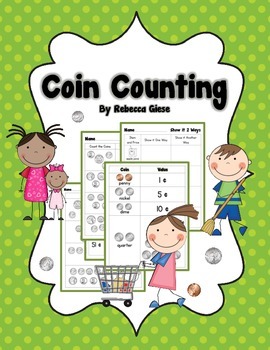 Students will count mixed groups of coins and learn to represent the same value using more than one combination of coins. 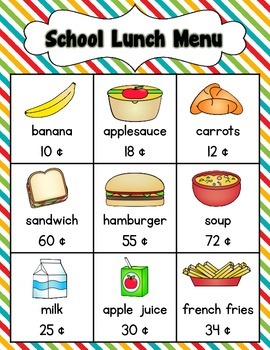 Perfect for first grade, second grade, or third grade students. 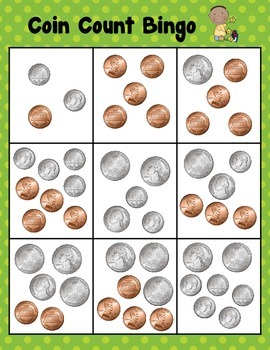 Add your own coin manipulatives and bingo chips and you will be ready to go.